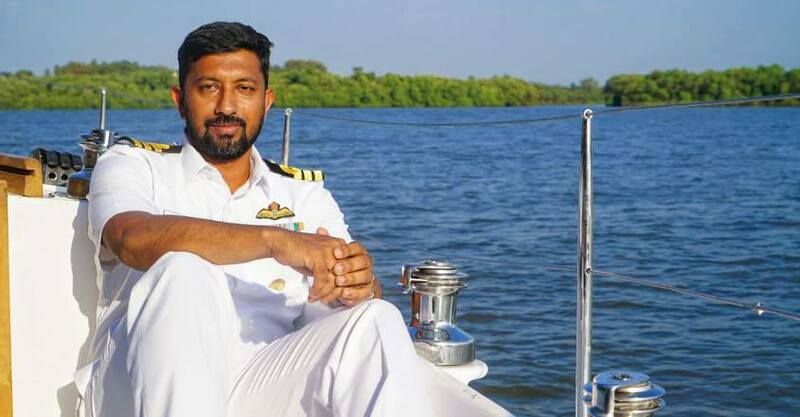 The Indian Navy on Wednesday released a new picture of the Navy Commander Abhilash Tomy, who was rescued from damaged sailboat in the remote southern Indian Ocean during the Golden Globe Race. Tomy, who is under treatment in a hospital at Amsterdam Isle, detailed his experience of the survival to the Navy. “The sea was unbelievably rough. Me and my boat Thuriya were pitched against the nature’s might. I survived because of my sailing skills, the soldier bit in me and my Naval training cut-in for that fight. Very thankful to Indian Navy and all who rescued me,” he said. Videos and pictures of Tomy’s evacuation by the crew of Osiris were released by the Indian Navy and the Australian authorities, whose reconnaissance aircraft were in the skies whilst the rescue happened.